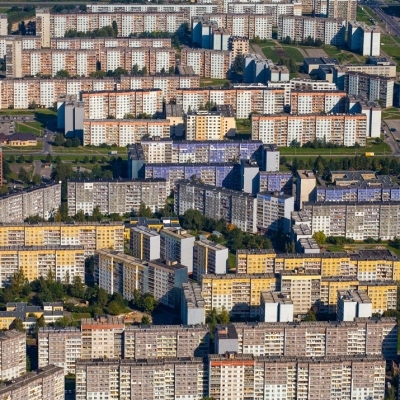 Construction of large-panel concrete residential buildings in Latvia began in the early 1960s and continued through to the late 20th century. 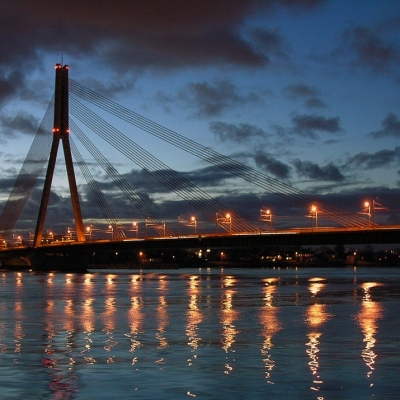 A bridge over the Daugava, built from 1955 to 1957. It is 503.12 metres long. 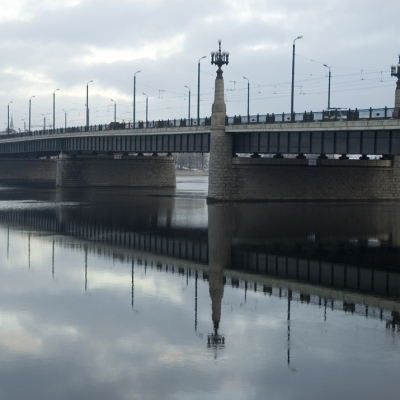 Vanšu Bridge was opened to traffic in 1981. It is 560 metres long. 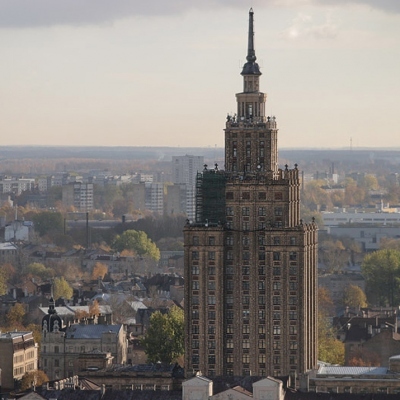 A 22 floor high office building at Zaķusala, Riga. 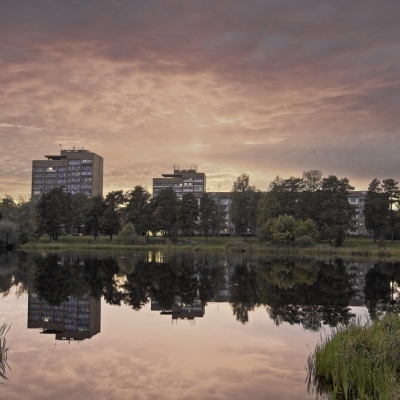 The building was specially built from 1979 to 1986 for the needs of Latvian Television, which is still based there today. 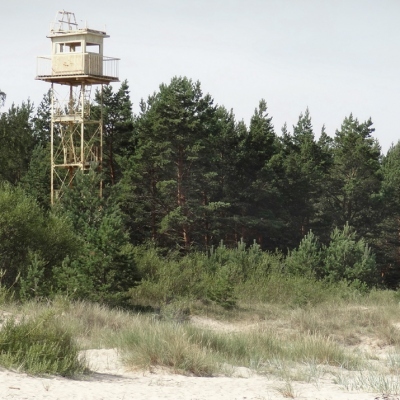 This border control tower was built during the Soviet era with the goal of supervising and guarding the coastline – primarily, in order to prevent the country’s inhabitants from escaping across the Baltic Sea to nearby Sweden. 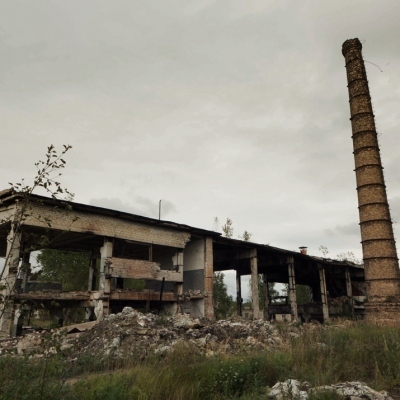 The town was formerly home to Soviet military specialists, who serviced a huge, now dilapidated, radar facility. Its basic task was to monitor the air space above Western Europe. 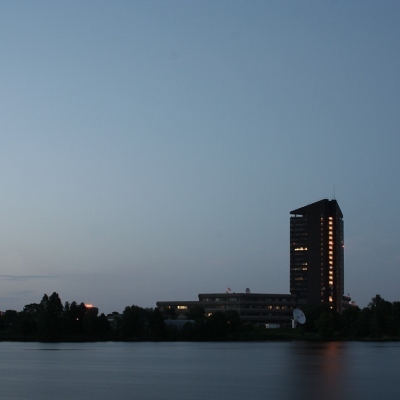 The army town spans a total area of 45 ha. 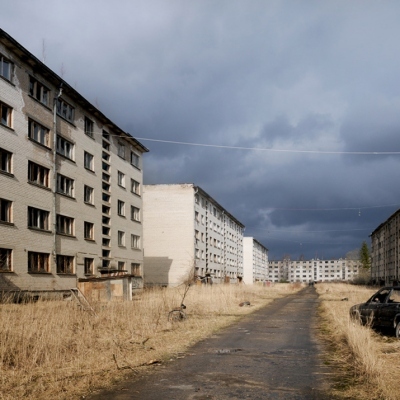 Since the destiny of the town remains unclear, no improvements have been made to either its technical buildings or territory. 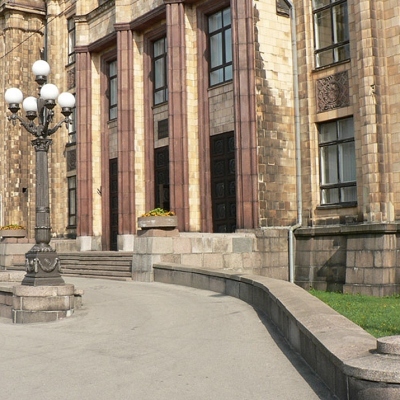 The building’s artistic profile bears an unmistakable resemblance to Moscow’s “seven sisters” – seven high-rise buildings that were built in the post-war period.